Naturally curly women have dealt with more than their fair share of bad haircuts. But the first time you receive a genuinely flattering haircut from a curl specialist, it's like suddenly your curls are working with you not against you. 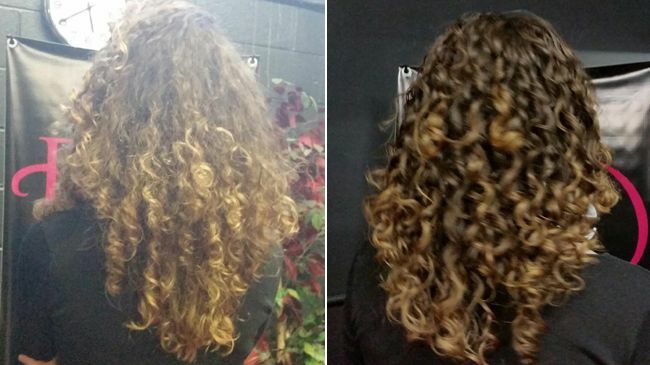 One of the most popular hair cutting techniques for curlies is the Deva Cut, but as you've probably discovered by now one size does not fit all when it comes to curly hair. Perhaps the Deva Cut just isn't for you, or maybe there isn't a trained Deva specialist in your area. We want you to know there are other options out there, so here is one of them: the RI CI Cut. We recently interviewed Ricky Pennisi, renowned edgy salon owner, stylist, and educator, about his RI CI cutting technique. Do you cut the hair dry or wet? Why? I prefer to cut curly hair wet. The RI CI cut is based on the hair weight and density, not the curl pattern. How does weight and density affect the way you cut hair? Weight and density are the biggest problem for curls. When not treated correctly it can give clients that dreaded curly pyramid look. The key to remember when cutting into curly hair is curls tend to drag down with fine hair and clump together into a mass of curls with no definition in thicker hair. What hair type does your hair cutting technique work best for? Wavy, curly, coily? The RI CI cut is great for various types of hair. With wavy hair, this cut will enhance the curl. With curly hair, this cut will help control the curls. With coily hair, this cut will open up the interior in order to make room for the curl to form. Too many times, wavy, curly and coily hair, the curls have no room to move or form and wind up just handing, which causes frizz. The RI CI cut correct this. 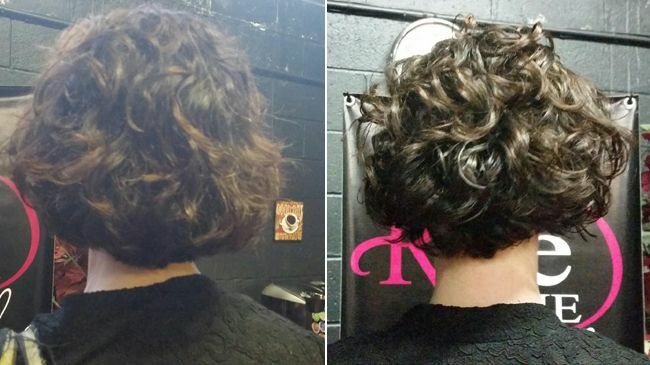 We're excited to share different cutting methods with our community, how does your cut differ from the Deva Cut? The condition of the hair, weather and environment all play a critical role in your hair’s appearance. Since the RI CI cut focuses on the weight and density of the hair, and not the curl pattern, this allows us to create a cut for our clients that is manageable after they leave the salon. When a cut is focused on curl pattern, clients have a harder time managing their hair weeks after the cut. How does your technique vary if you're cutting coily hair vs. wavy hair? Since the curl pattern changes with weather and moisture, the RI CI cut focuses on the density of the hair. What styles and cuts does your technique work best for? For example we commonly see a lot of longer, rounded bobs when it comes to Deva Cuts. What makes RI CI groundbreaking is that the cutting technique and product provide my clients the ability to wear their hair at every length – long, medium and even short. Since the RI CI cut focuses on each section and base individually, it gives me the advantage to shape the hair so that it has a natural movement that enhances the natural curl. How do you customize your cut for low and high density hair? What do you focus on? Always determine what the problem area is. Once it is identified, regardless if the hair is thick or fine, I focus on that specific area during the cut. For high density hair, I focus on the removing interior and creating movement. Additionally, I try not to create thick layers since that creates more volume then wanted. What do you do for fine hair? What about coarse hair? Regardless of fine or coarse hair, the technique remains the same. Density is more important than texture. With fine hair balance is crucial. Fine hair’s biggest enemy is weight and that's a huge understatement when fine hair gets heavy it dies, but removing too much weight and thin hair gets stringy. The key is to approach each section individually and cut only what's necessary. After each cut, shake out each section to ensure the hair falls properly. Where can people get a RI CI cut? There are certified salons all over the United States that are trained in the RI CI cut and sell the entire line of products. To find a salon nearest you, visit www.ricicurls.com.